Targeted marketing is more effective than generalized marketing. Yet, many freelancers still use a one-size-fits-all approach when it comes to marketing their freelancing business. If you can learn how to target the prospects who are a better fit for your freelancing business, you’ll be ahead of the rest. But before you can use targeted marketing for your freelancing business, you need to know who to target. One way to get started with targeted marketing is by defining an ideal client for your freelancing business. Write blog posts on your freelancing blog as though you are writing to your ideal client. Look for and follow social media users who fit the profile of your ideal client. Contact prospects who fit your ideal client profile directly. This post, however, is about how to find your ideal client. I’ll provide a little more information on what an ideal client is. I’ll also provide some questions you can use to define the ideal client for your freelancing business. If you liked this post, you may also like Why Freelancers Need Private Clients. In a nutshell, an ideal client is a profile of the type of client you are trying to attract. It is not a single client. Rather, your ideal client represents the clients with whom you work best. 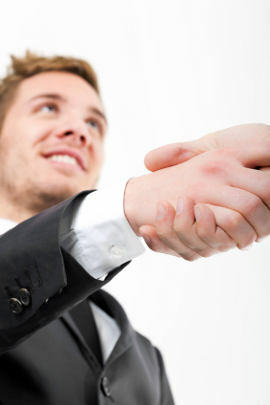 Other characteristics of an ideal client could include the type of business they are in or the size of their business. It’s important to understand who your ideal client is because you want to direct your freelancing marketing towards them. Sadly, most freelancers have no idea who their ideal client is and their marketing efforts suffer as a result. Do you know how to recognize your ideal client? What type of organization do they run? Some freelancers prefer to work with non-profits. Others like tech companies. And still others prefer start-ups. How large (or small) is their business? In part, this question may help you to determine whether the client can afford your services. What type of projects can they offer you? Not every prospect has the type of projects available that you specialize in. Are you drained after an interaction with the client? If you answer “yes” to this question, it could be an early warning sign that something is wrong. Is there the potential for repeat business? While not having repeat business isn’t a deal breaker, it’s good to know how often a client will need your services. How do they prefer to communicate and how does it compare to your own communication preferences? Some freelancers prefer to communicate through email, others like face-to-face or phone communication. What type of education do they have? The marketing materials you write should reflect your ideal client’s educational level. What level of involvement do they have in their projects? Some freelancers prefer to work mostly as collaborators. Others want to be left alone to do the job. Where are they located? Some freelancers prefer to work mostly with local clients. Others work primarily with international clients. What is the client’s pace? If you like getting rush work (with the added pay, of course), you may prefer fast-paced clients. The more specific you are with your answers, the better. Depending on your freelancing businesses and individual preferences, your answers to these questions will be different from those of other freelancers. However, once you complete these questions you should have a pretty good picture of your ideal client. While it’s a great idea to target your ideal client, there’s also a danger. It’s possible to set the bar for your ideal client so high that no client could possibly measure up. It’s also important to remember that very few clients will fit the ideal client profile perfectly. And that’s okay. Do you target your freelance marketing to a specific type of client? Describe your ideal client in the comments.